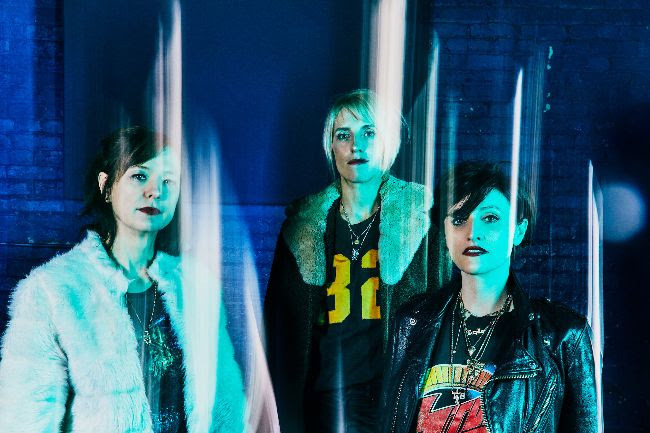 At long last Ex Hex have announced the follow up to 2014’s debut, ‘Rips’. Mary Timony, Betsy Wright and Laura Harris will release their second album together, ‘It’s Real’, on March 22nd via Merge, followed by a UK tour in May – details below. Today they give a first glimpse at the new material with “Cosmic Cave”, a bittersweet rave-up with shimmering phased guitars, a gooey-candied chorus and beamed-in “whoa-oh-ohs” that add a touch of melancholia to the frenzied speed-of-sound pace. ‘It’s Real’ will be released on March 22nd via Merge and is available to pre-order here.